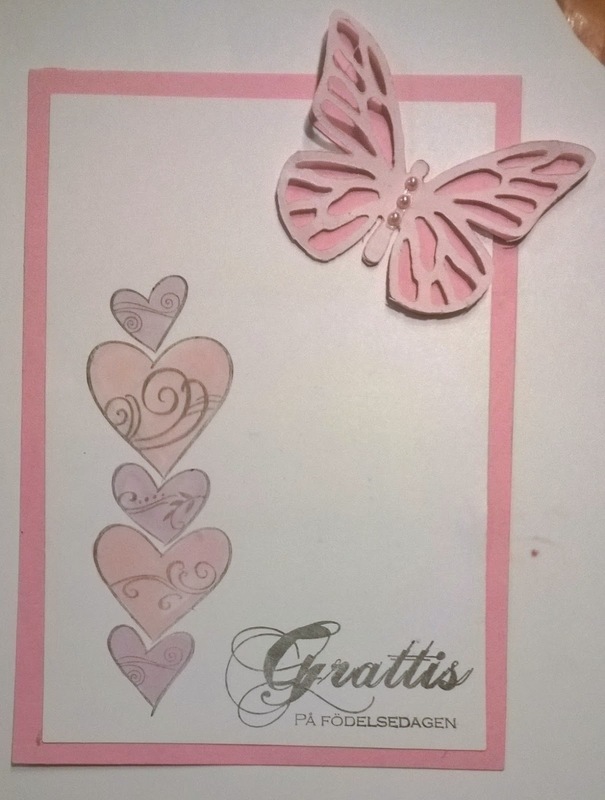 Jag deltar i följande utmaningar: CRAFT (CAS), Sentimental Sundays (Single layer Card), Card and Scrap (Alt er lov), Passion for Promarker (B is for Butterfly and Birthday), Avenue 613 (ATG w/ Birthday twist), TTCRD (ATG), Simon Says Monday (No Rules) och Crafting for all Seasons (Dies/punches). B is for beautiful - a beautiful card! Thank you for joining in my Alphabet challenge at PFP and good luck! What a lovely card you've created! I really like the soft color palette you chose and those hearts are adorable! I think the butterfly is so delicate and it adds the perfect bit of dimension and texture. The sentiment looks so pretty with its swirling script. They all go together so well and I'm so glad you shared your talents with us for this week's Simon Says Stamp Monday Challenge! Very sweet card. Thanks for joining us at Sentimental Sundays. This is a fabulous card, such pretty pinks.